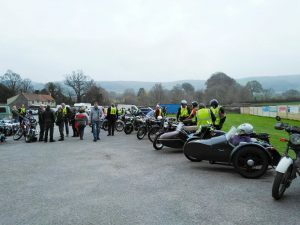 The 2019 Cheddar weekend opened with fog which took a while to burn off. After a meandering route across the levels we arrived in sunshine at the Willow and Wetland Centre at Stoke St Gregory. 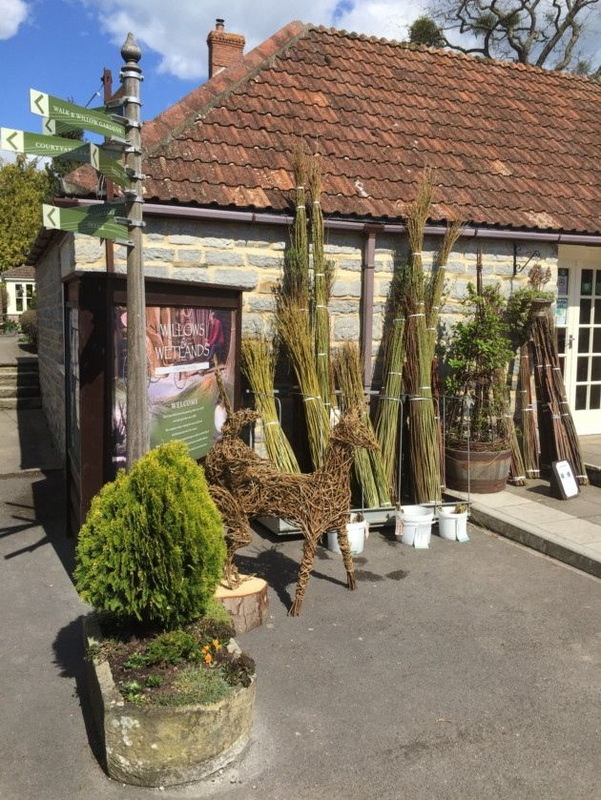 There is a museum, shop and film centre so we could all learn more about the history of willow production. A visit in the week could also include a factory tour. After a ploughman’s lunch riders were free to return by planned route to Cheddar or home. 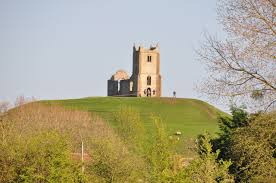 Some took the opportunity to visit Barrow Mump on the way back. The Saturday evening featured a buffet and quiz with edible prizes. The 54th Cheddar Trial was held on a overcast but dry Sunday. 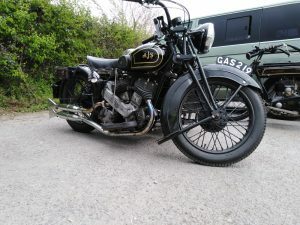 The route was an anticlockwise circle form the football club around Nyland Hill onto the A271 in Draycott and then an observed right turn along what is known locally as Cheddar Top Road. This led up Cheddar Gorge and along the top of the Mendips to a field at Charterhouse for 3 off road sections. The routes then split with the pre 1930 bikes returning via Shipham. and everyone else riding round Chew Valley Lake, across the top of Mendip and down Draycott Steep back to Cheddar Football Club. 77 people sat down to an excellent roast beef or roasted butternut squash lunch. Unfortunately one rider, behind a car which stopped going down Draycott Steep, took avoiding action by going left. He was unaware of the ditch there! After a couple of days in hospital having metal inserted in one leg he is recovering well at home. We should all like to thank Mervyn Panting, Nigel Bull and Tina, Glen and Shaun Moger, Chris Kinsey and Gill, who stayed with Julian during his TWO hour wait for the ambulance. Would you believe he has already asked for an entry for next year. Vintage. 1st Chris Chipperfield, 2nd Colin Bentham, 3rd Dan Alsop. Post Vintage. 1st Mervyn Panting, 2nd Rod Thompson. 3rd Bob Ashwin. Post War. 1st Phil Ham, 2nd Lindsey Middleton, 3rd Simon Gardiner. 3 Wheeler. 1st Les Thomas, 2nd Peter Watts, 3rd John Web. Best Two Stroke. 1st Rod Thompson, 2nd Nigel Percy, 3rd Chris Tiso. Team Award. Wells Angels. Chris Chiperfield, Tim Deverill and Les Gwyer. The awards are presented at our Annual and Awards Dinner in February or sent on to those that can’t attend.